Along with a chemistry lab, we also have two computer labs. The computer lab in the elementary school has 20 desktop computers running the Windows operating system. 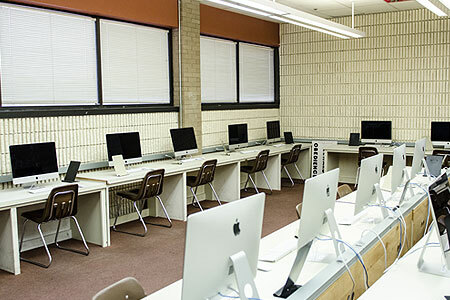 The computer lab in the high school has recently been renovated and contains 25 Apple iMac computers running the Mac OS X operating system. In addition to using these labs to teach students keyboarding and office automation skills, these labs give the instructor the resources to use Web-based learning and computer-aided insruction tools.